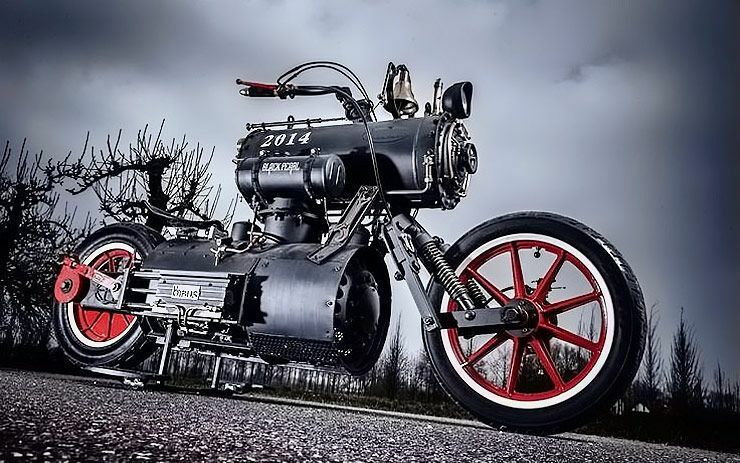 The ‘Black Pearl’ is a one-of-a-kind steam-powered motorcycle created by Dutch bike builder René van Tuil, of Revatu Customs. 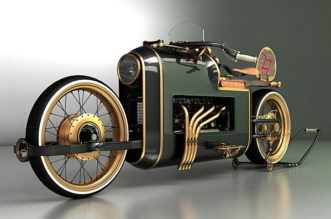 Looking like the love child of a chopper and an old steam engine, the unique vehicle can make any diehard steampunk fan simply drool just looking at it. Although named after Jack Sparrow’s notoriously fast ship, van Tuil’s amazing creation is anything but fast. 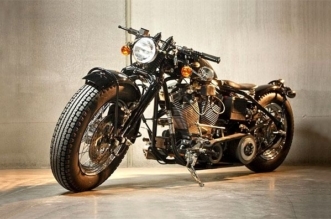 He was inspired “Train Wreck”, a 2012 fictional design by Colby Higgins, and spent eight months working on an actual real-life version of the steampunk motorcycle, before unveiling it at the Bigtwin Bike Show in Rosmalen. 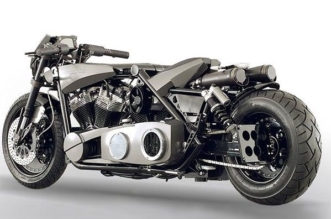 René van Tuil is known for his unconventional motorcycles, but he himself admits the Black Pearl is one of his craziest creations yet. 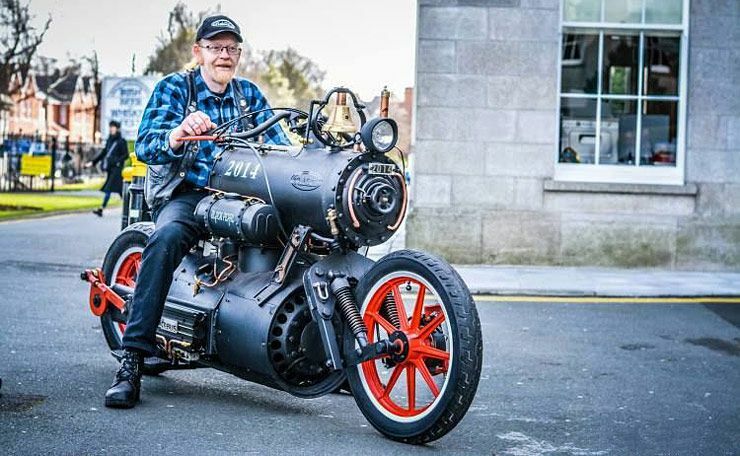 Designed to resemble an old locomotive train engine, this retro rider is actually powered by a real steam engine in much the same way steam locomotives turn their massive wheels. The rear wheel of the Revatu Black Pearl is turned by an exposed crankshaft rotated by an eccentric pivot. 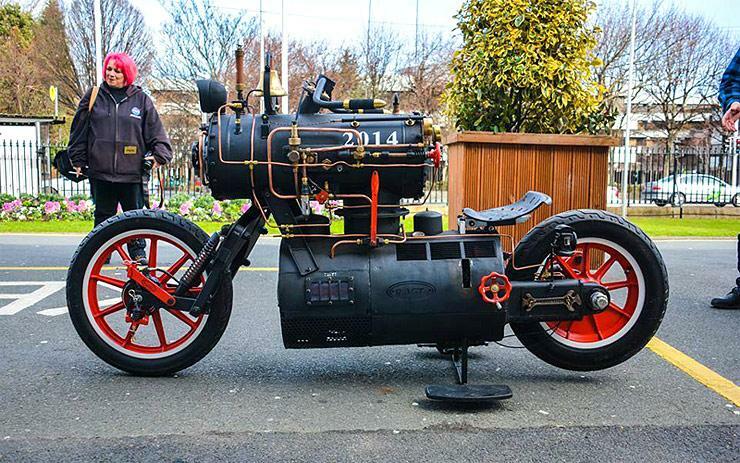 A bell and real steam horn have been added to keep this bizarre bikes Iron Horse credentials squarely on track. The handlebars, front wheel, and shock absorbers are more of a traditional bike design without which one might forget that this Iron Horse can actually be ridden. The Revatu Black Pearl top speed of 5 miles per hour may not get you anywhere in a hurry, but you will look decisively cool getting there.